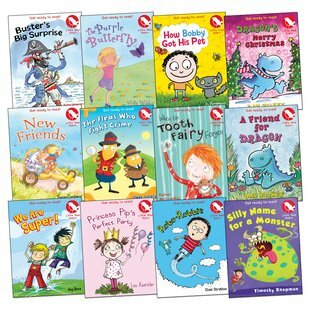 Our brand new story series for small people. Colour pictures and big chuckles to get you reading alone. Even better than picture books. Here at Scholastic Towers, our clever book editors have done their all to get these books just perfect. They’ve found top authors like Dav Pilkey and Hilary McKay. Plus fantastic artists whose pictures will really make you smile. They have one goal: to get you really excited about reading whole stories on your own. We hope you’ll agree that they’ve done an amazing job.